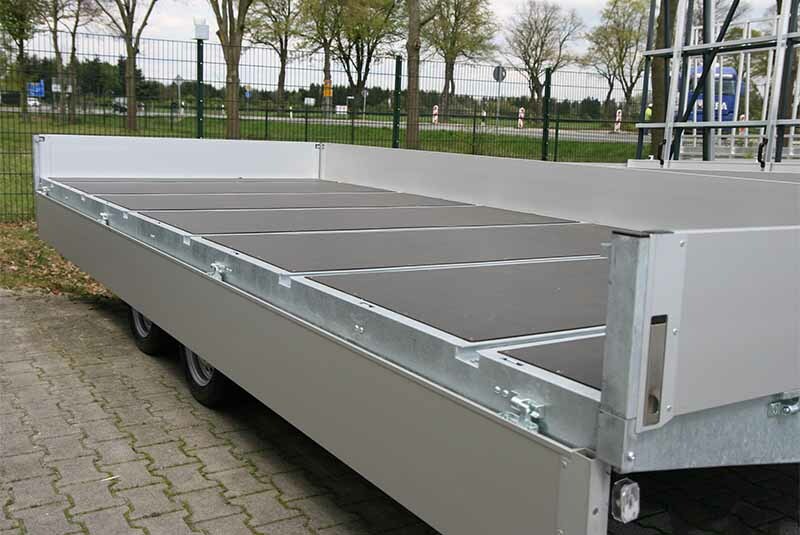 The Multimaster is a flat trailer which you can configure by your own needs. 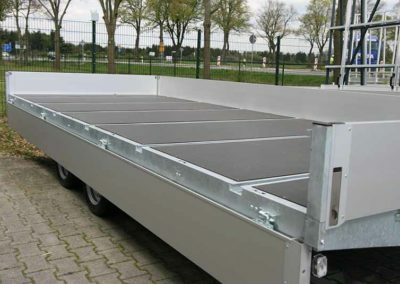 The trailer is normally delivered without any adjustments. 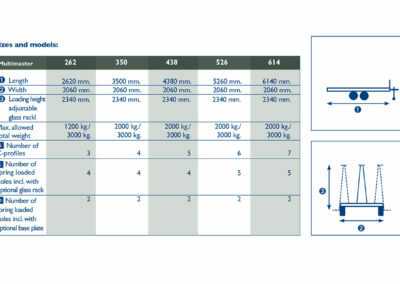 Below you can see an overview of all the different options and solutions. 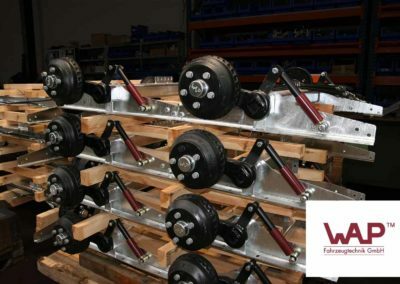 The trailers are fully manufactured and designed in our factory. 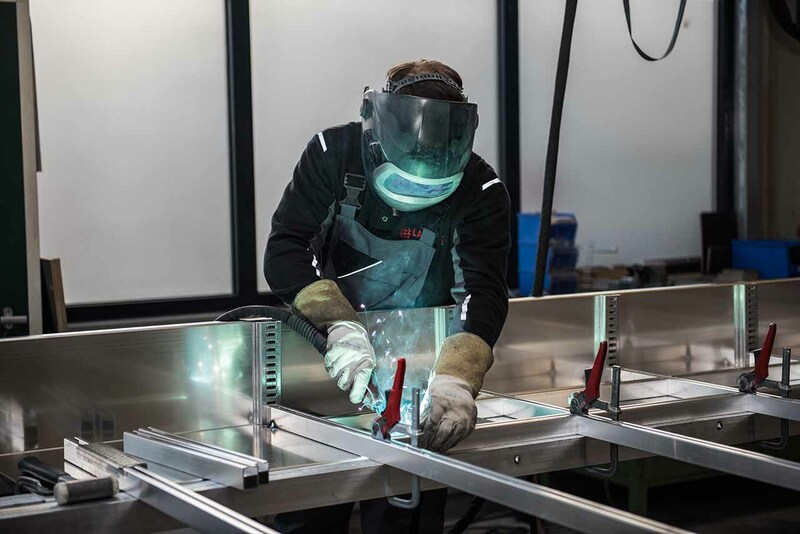 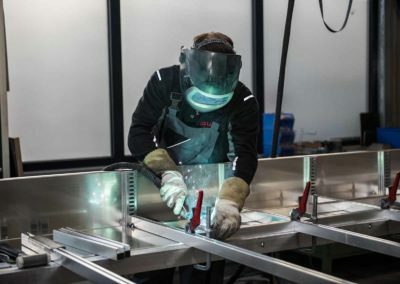 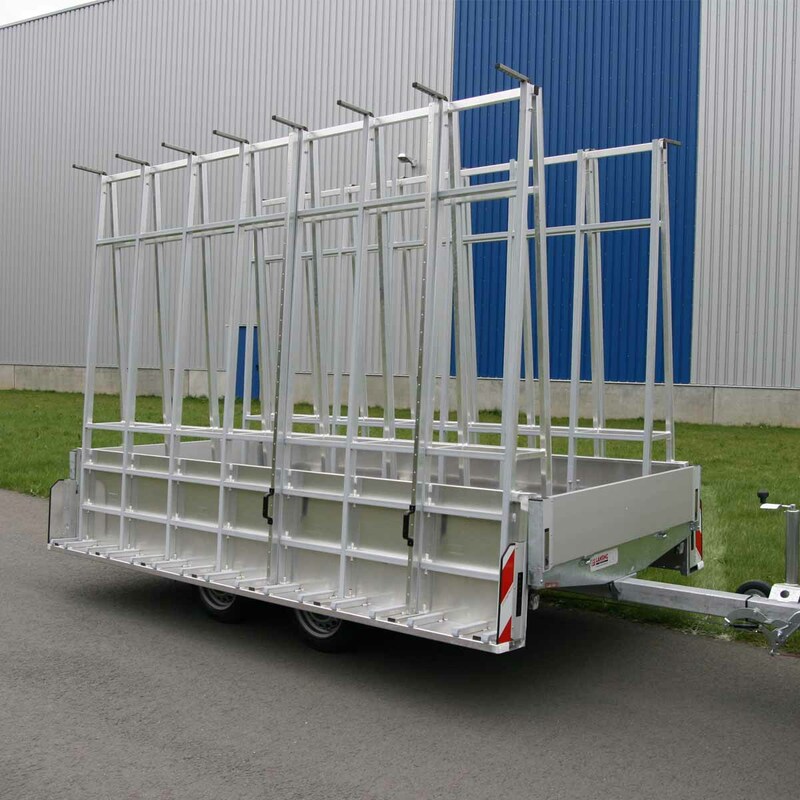 This gives our customers the option to configure their own custom build trailer. 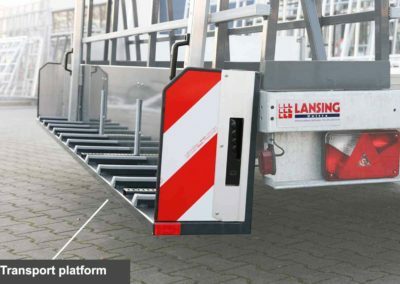 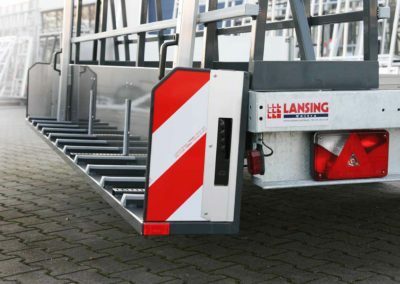 The Lansing trailers are all certified by the German TÜV-certificate. 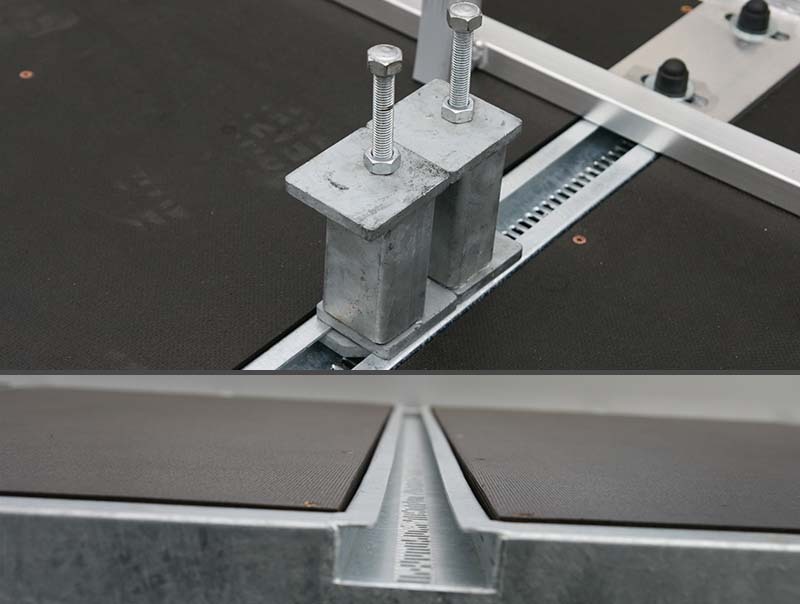 This gives you a safe and high quality product. 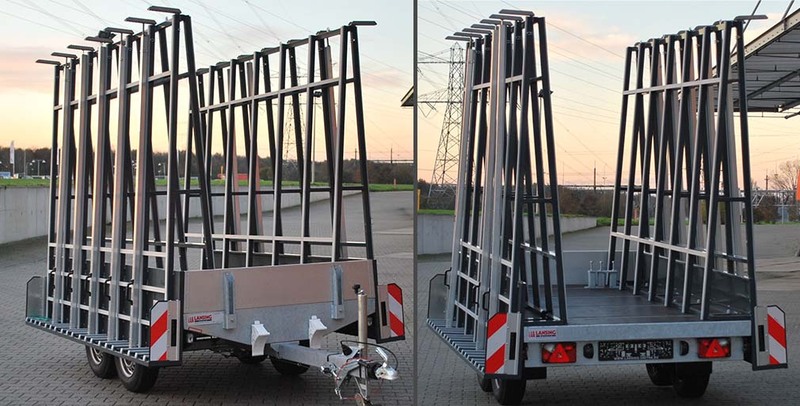 The Multimaster is a trailer suitable for glass, window frames and other building elements. techniques results in a durable product. 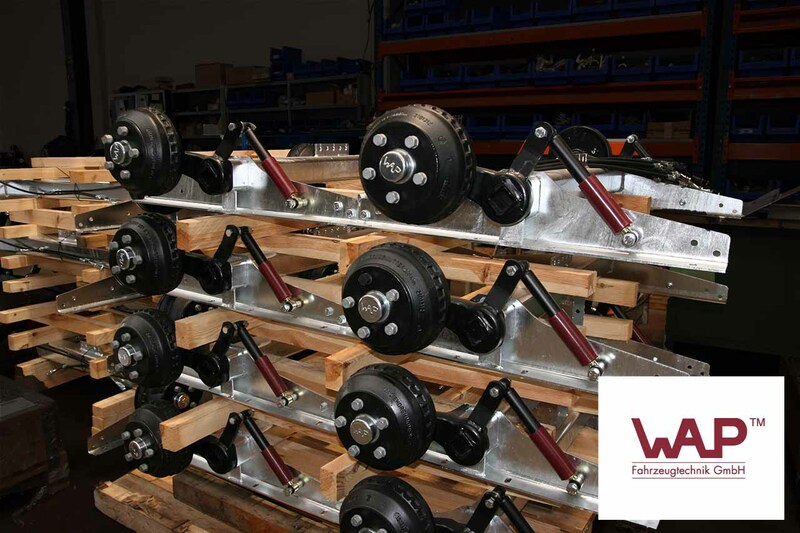 We use high quality axles from the german brand WAP. 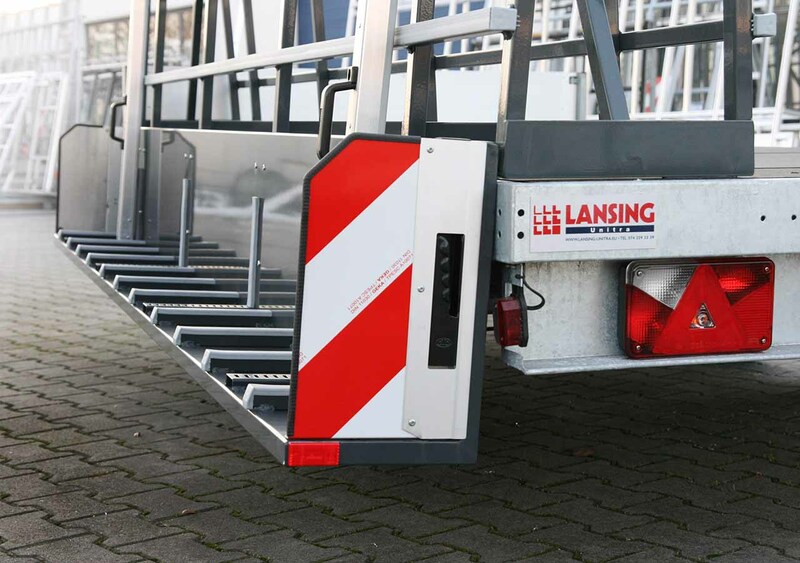 The standard delivered lighting and reflecting safety marks provide extra safety. 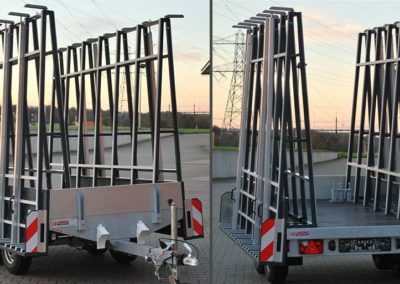 The Twin glass rack allows for flat glass, window frames and doors to be placed on both sides of the trailer. 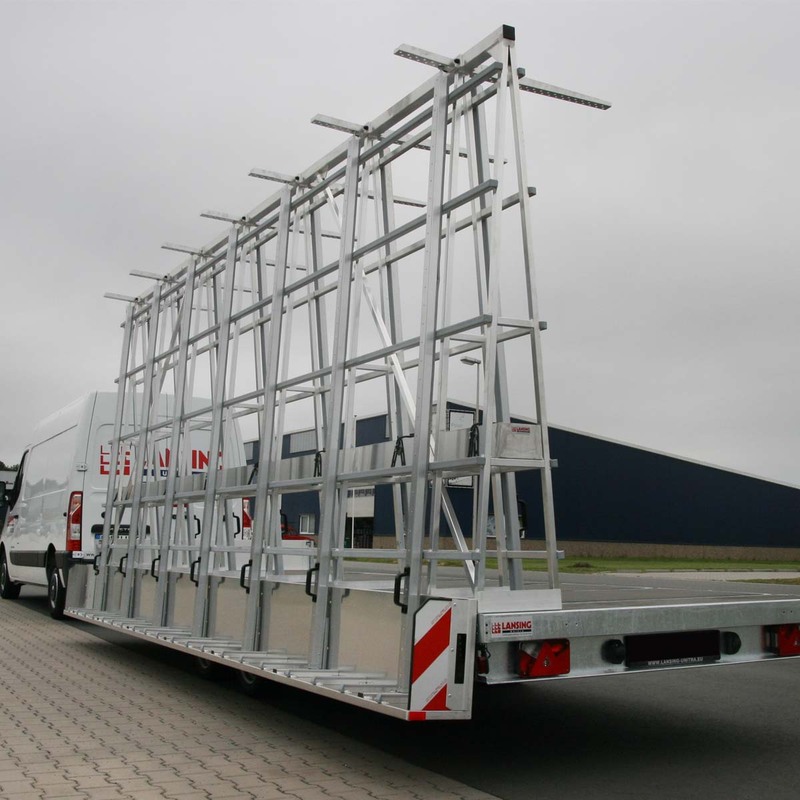 You can secure your cargo quick and safe with the help of the spring loaded tension poles. 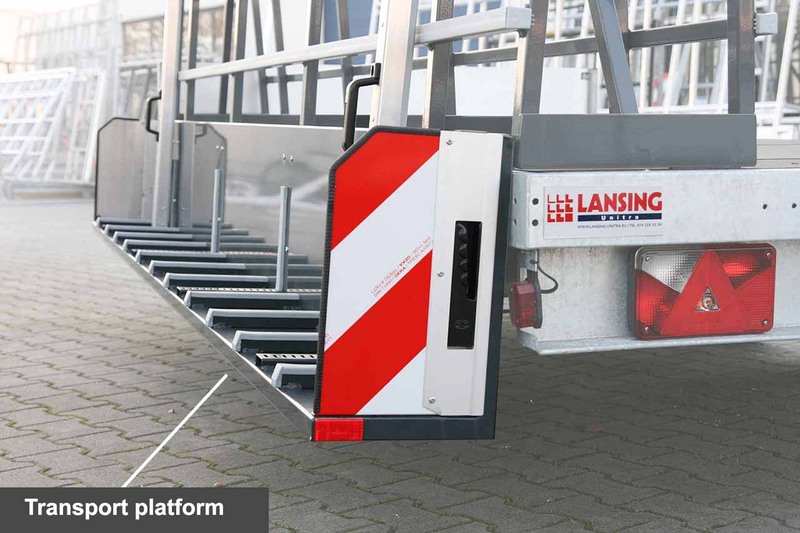 The transport platform is an extra option for the multifunctional glass rack. 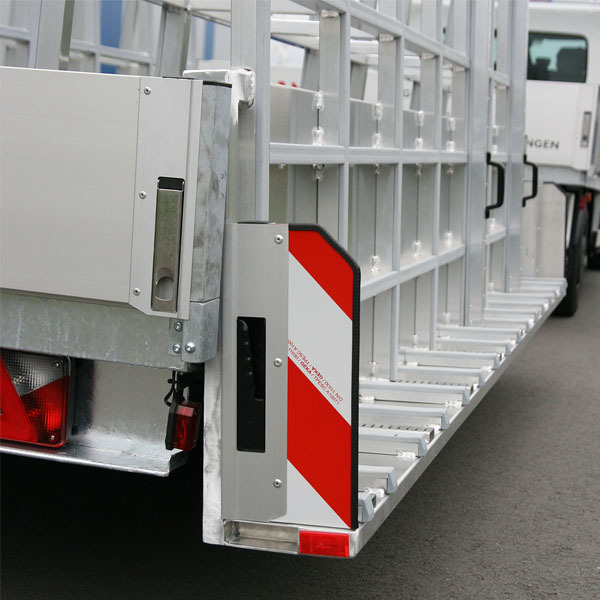 The sideboards ensure that smaller goods can be transported within the trailer. 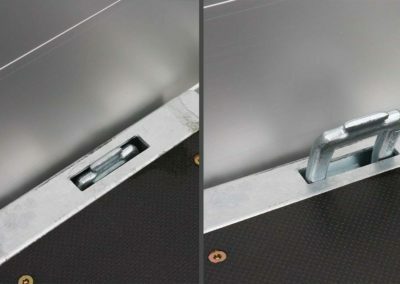 This option includes the rear board. 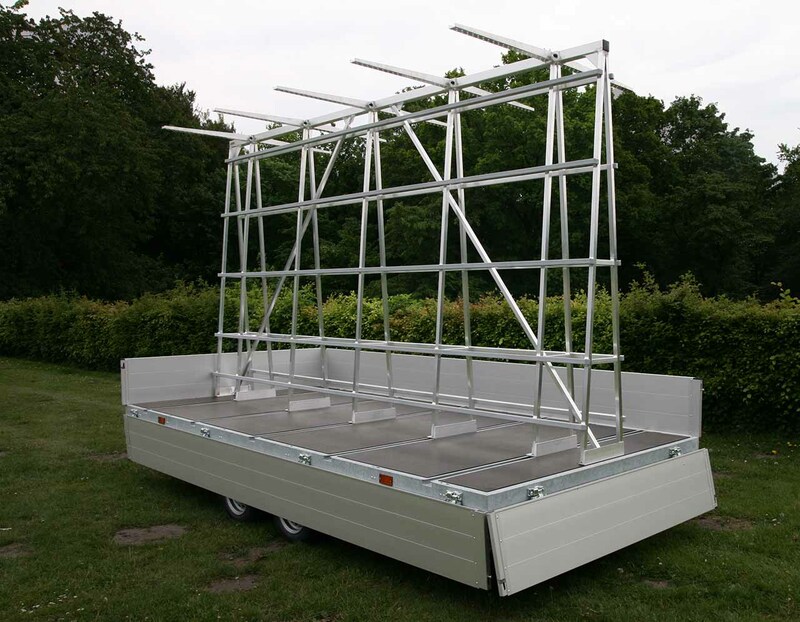 The front board is standard delivered with our trailers. 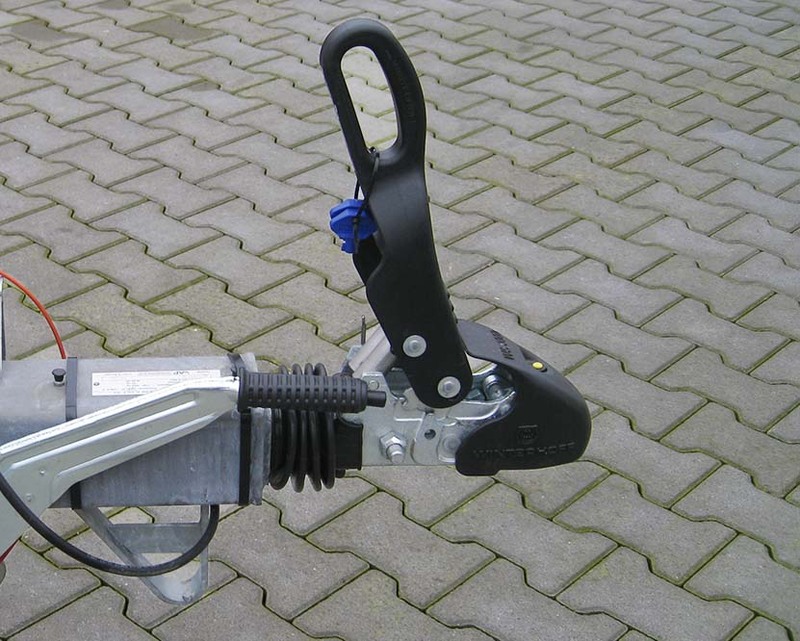 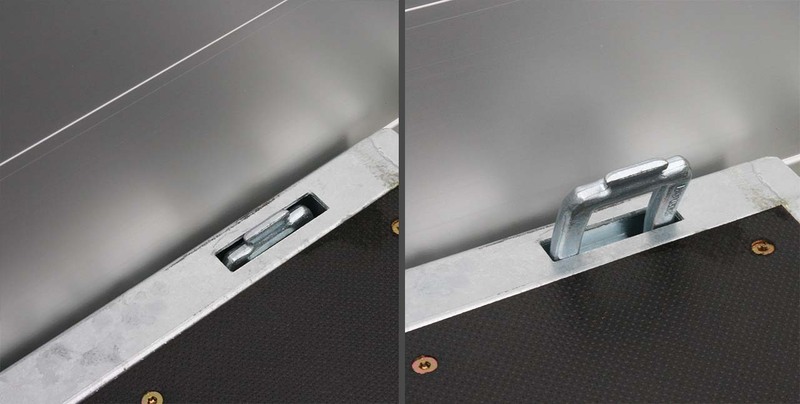 The integrated C-profiles and clamping claws allows large objects to be safely secured. 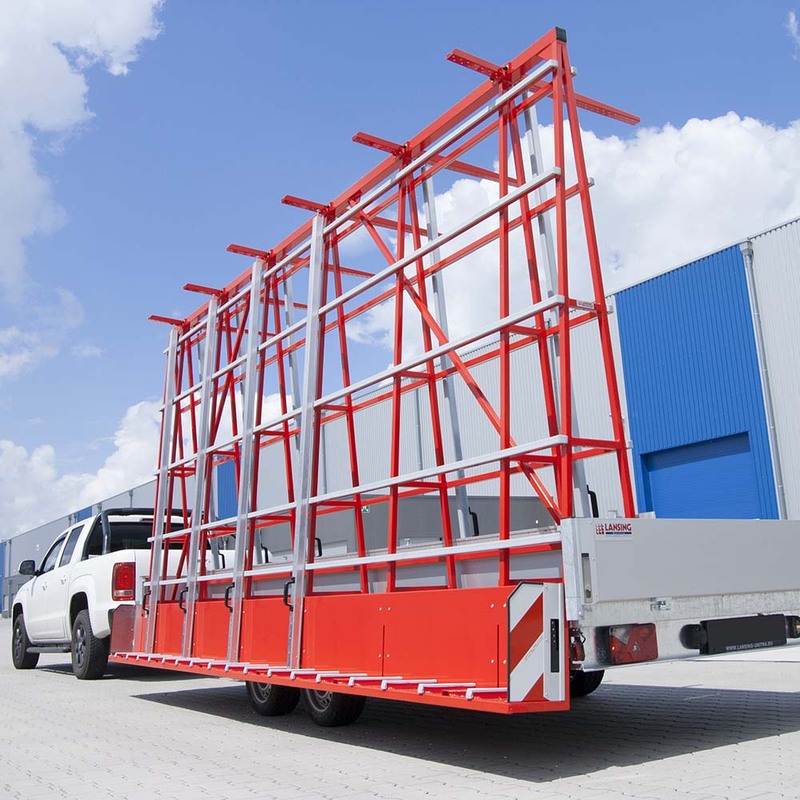 Flat glass, window frames and doors can easily be transported, with a loading height of 2340 mm. 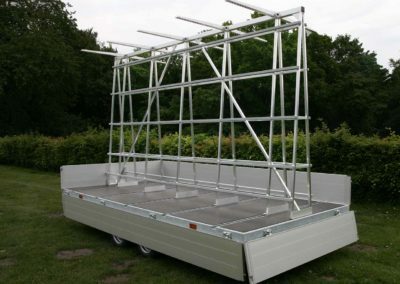 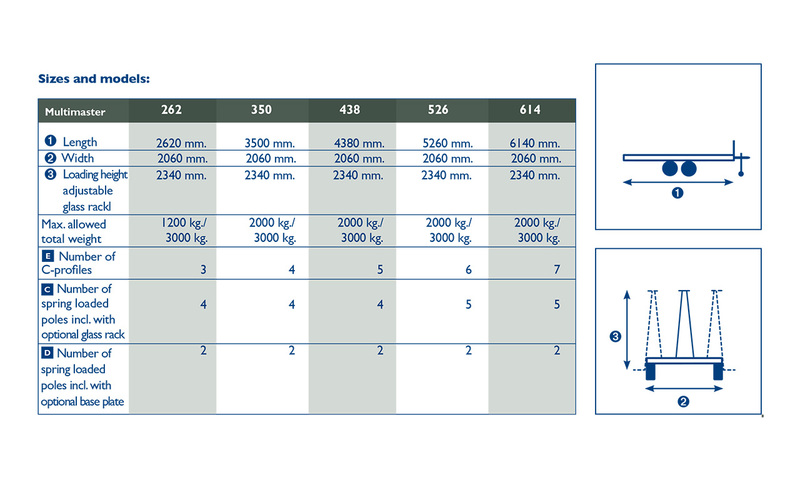 The rack can be moved over the length axis of the trailer and therefore counts as a very flexible solution. 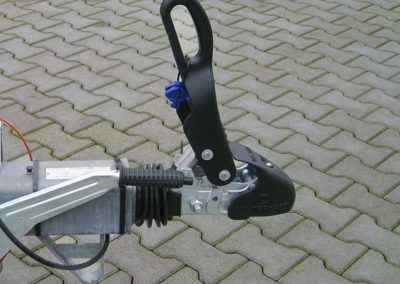 The lashing eyes provide an extra way to secure goods by the use of lashing straps.